Whether you’re cheering for the Eagles or Patriots this weekend, you’ll need a little something to celebrate with. 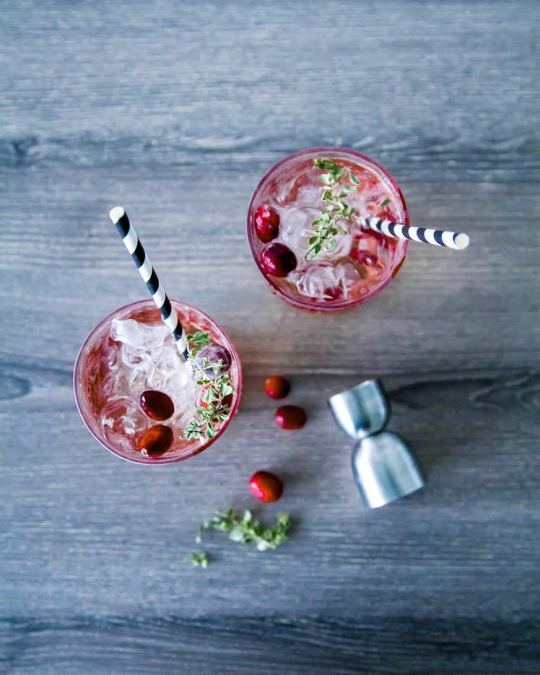 We suggest this Cranberry & Thyme cocktail. Both cozy and invigorating, it’ll keep your spirits up no matter what the results of the big game! In a small saucepan, mix cranberries, sugar, water, splash of orange juice, and vanilla extract. Cook for 10-15 minutes while pressing the cranberries with the back of your spoon until they pop. Add the thyme and smash with the back of your spoon to release the flavor. Pour mixture through a strainer, discard the solids, and reserve the remaining for a cranberry syrup. Add 1 oz of syrup to each glass. Add a few cubes of ice, 2 oz of gin, and then tonic. Mix. Garnish with thyme leaves. January 29, 2018 by Corinne L.